Replica CCTV camera with solar powered flashing LED. Easy to install intruder deterrent, ideal for indoor or outdoor use. Silver finish with black 'replica night vision LED and lens' housing. Dimensions including bracket LWH: 200 x 80 x 180mm. Complete with 2 x rechargeable AAA batteries, fixing screws and instructions. 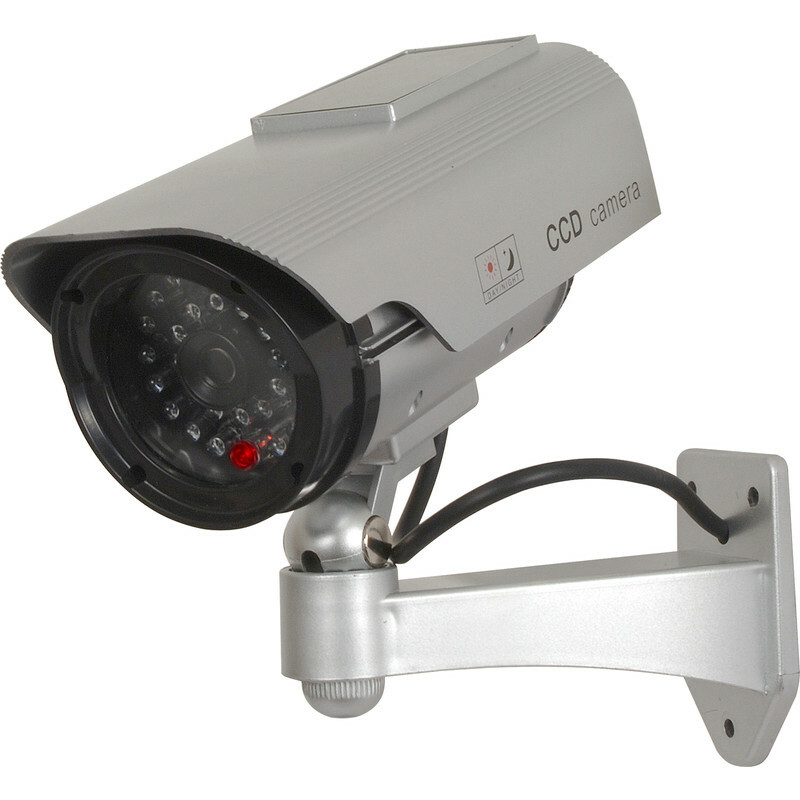 Panther Solar Dummy CCTV Camera is rated 4.2 out of 5 by 6. Rated 5 out of 5 by Fuzzy from Looks good This is the 'real' thing! Rated 4 out of 5 by Graham_A from Realistic looking & easy to fit. Fitted this in the side alley way where some bike and ladders stored, as soon as the light hit the LED's the telltale red LED began flashing, The seal behind the battery holder seems substantial enough to do the job. Over all a great effective product. Rated 5 out of 5 by Tubs74 from Looks the Business The LED did not work on the first one I had, but Toolstation exchanged it without quibble. Easy to fit, needs to be in sunlight, and I am delighted with it. Rated 5 out of 5 by Scunny from Very realistic. These cameras are very realistic, light weight. I like the red flashing LED light they have.